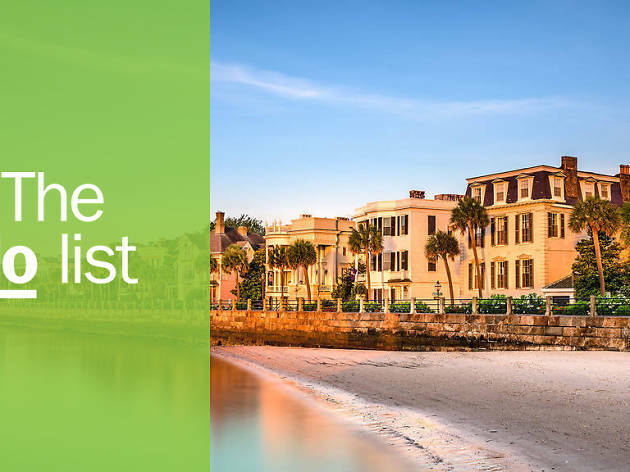 From popular Myrtle Beach to the cobblestones of Charleston, you’re probably familiar with South Carolina’s famous beaches. But there’s much more to the Palmetto State: scrappy cities like Greenville and Columbia, plantations steeped in history and shaded with oak trees, and converted country stores offering homestyle barbecue dishes and throat-clearing shots of moonshine. No matter where you travel in the state, you’ll be greeted as a friend – with a ‘hey y’all’ from nearly everyone you meet. What is it? A verdant state park that spans 13,000 acres and features #nofilterneeded views of Georgia and the Carolinas. Why go? 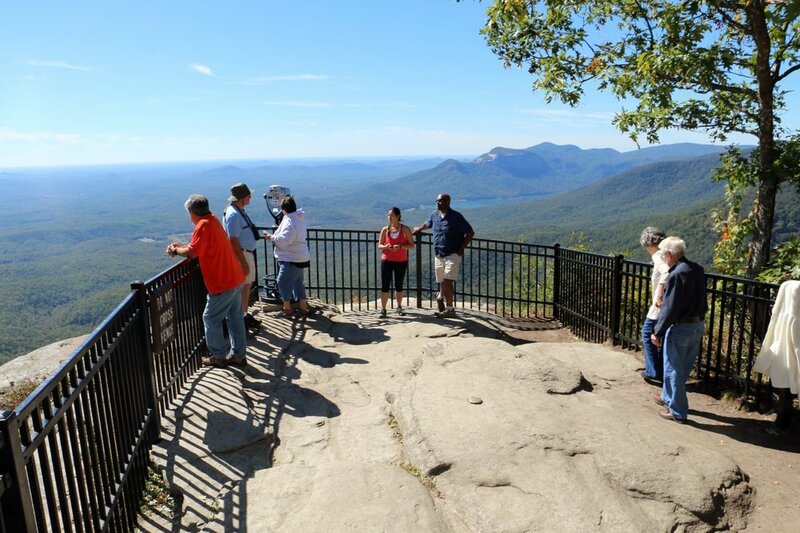 Whether you want to hike or take the lazy route and drive your car to an overlook, this park is a beautiful place to explore the foothills of the Blue Ridge Mountains. 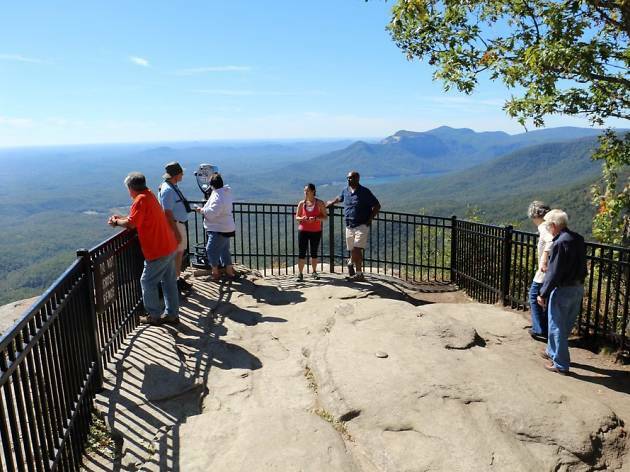 If you’re truly ambitious, hike the 77-mile Foothills Trail that starts in neighboring Table Rock State Park. There’s a shuttle service that lets you park your car at the end and get a ride to the trailhead. What is it? 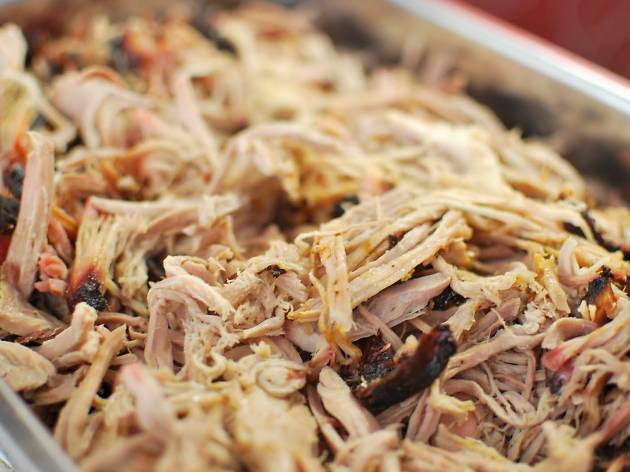 A gluttonous route of 220 barbecue restaurants – from smoky shacks to white tablecloth establishments, serving up slow-cooked pork doused in the state’s four official sauces. Why go? 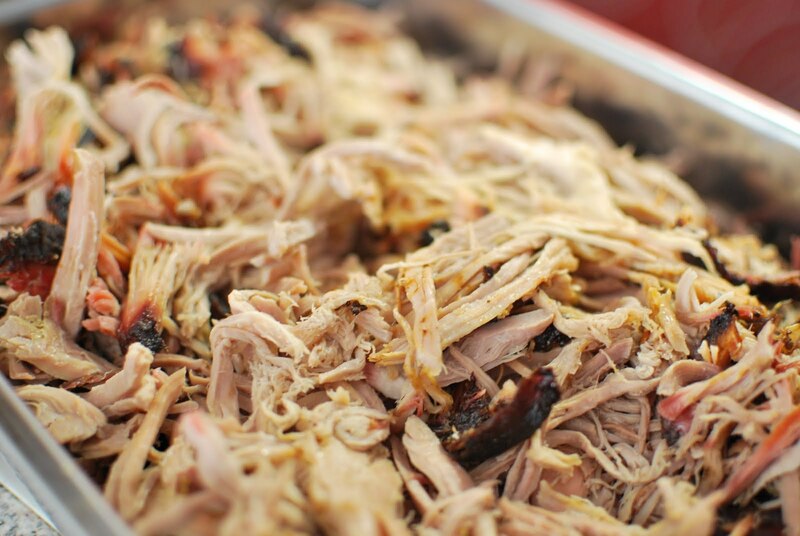 If you ever want to start an argument in a room full of Southerners, ask which state’s barbecue is best. Though you’ll never get a definitive answer, SC is one of the only places you can sample all the sauces: mustard, vinegar and pepper, light tomato, and heavy tomato. Make your own judgment after following the state’s barbecue trail – but be sure to try the mustard sauce, as you won’t find it like this anywhere else. What is it? A nineteenth-century plantation that doesn’t hide its past. Why go? 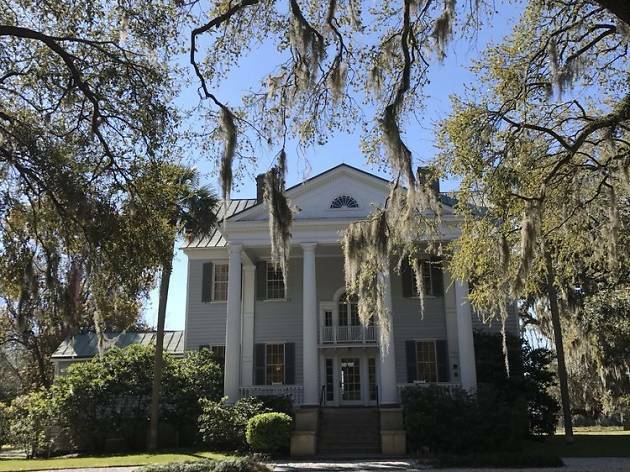 While there are larger and more beautiful plantations to visit in South Carolina, this one offers a real look at the region’s sad and shocking history. 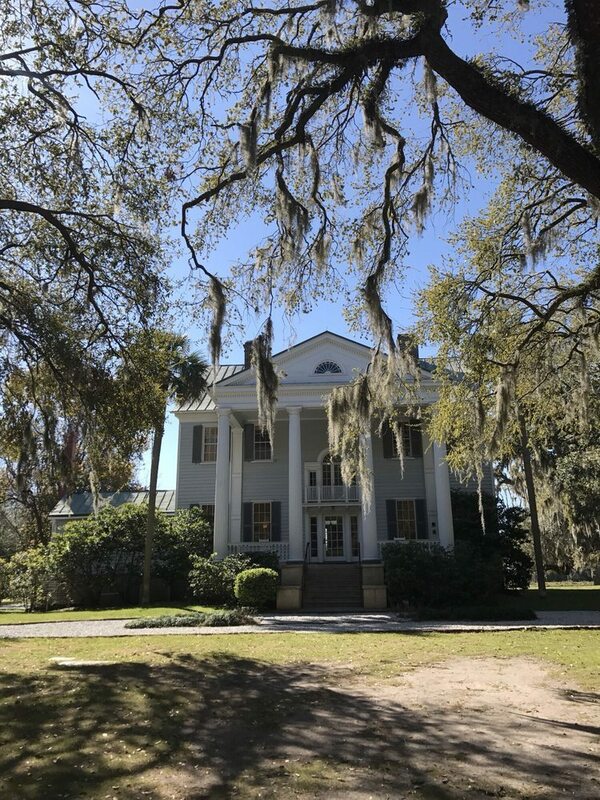 Alongside its 600-year-old tree, there’s a plantation house, slave cabins and not-sugarcoated tours that teach you about how life would have been for slaves. What is it? 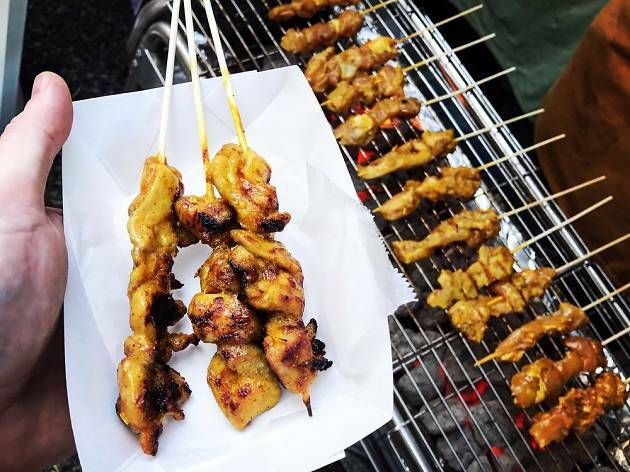 A thriving market filled with local produce, crafts, and food, in the state’s capital. Why go? Every Saturday, rain or shine, Columbia’s Main Street fills with throngs of people eager to shop, eat, and pet a plethora of dogs. You can browse everything from okra to art, listen to buskers of all ages, and sample the state snack, boiled peanuts – all with a view of the capitol building. What is it? A downhome Southern restaurant that’s smack dab in the middle of nowhere. Why go? 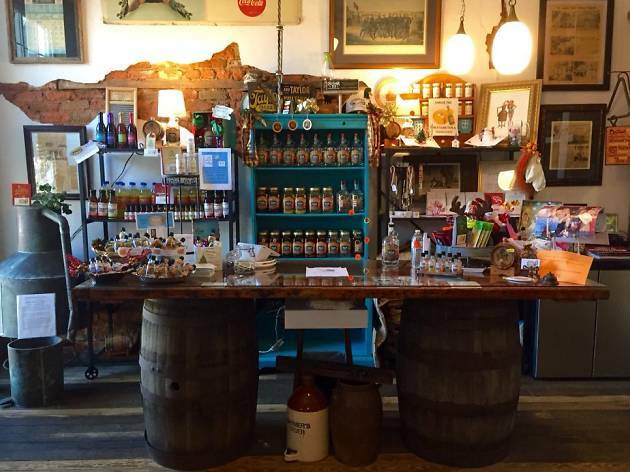 At this former country store/post office/radio station, you’ll find ‘real food done real good’. For the creative Cajun, Creole, and Southern menu, the owners strive to only source ingredients from within 100 miles, and they’re known for their ever-changing dessert selection. 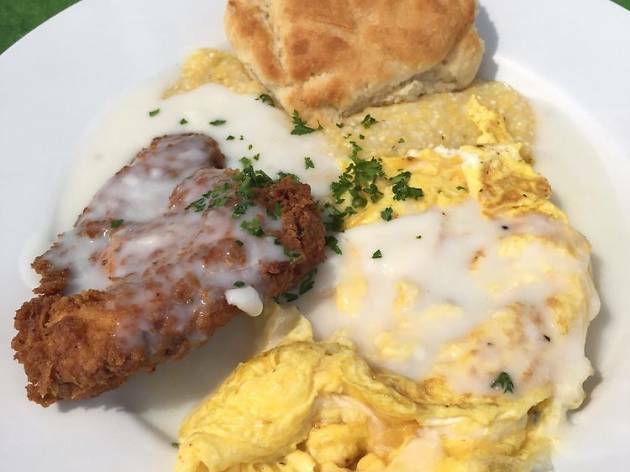 If you hit up Thursday dinner or Saturday brunch, you can sample one of the South’s most famous dishes: shrimp and grits. What is it? 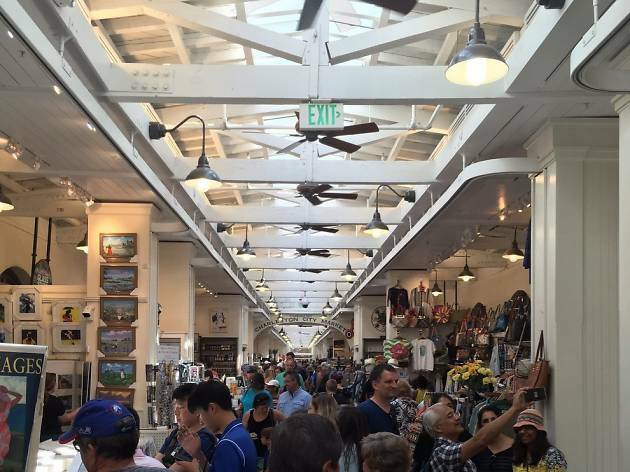 A downtown area with boutiques, a waterfall, and rodent-themed scavenger hunt, Mice on Main. Why go? 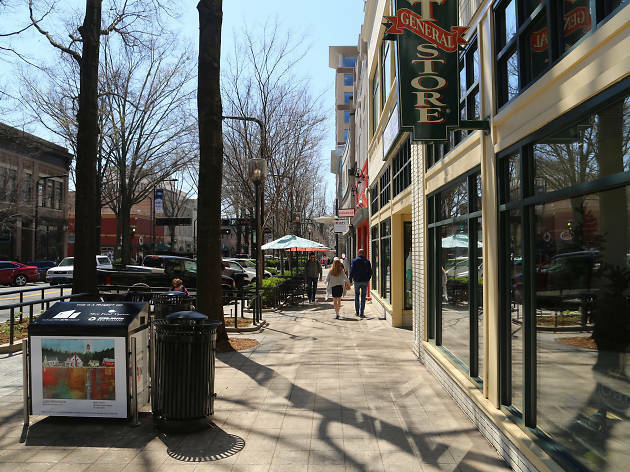 Though most people don’t love seeing real mice in cities, you’ll have fun looking for the nine bronze mice hidden throughout downtown Greenville. 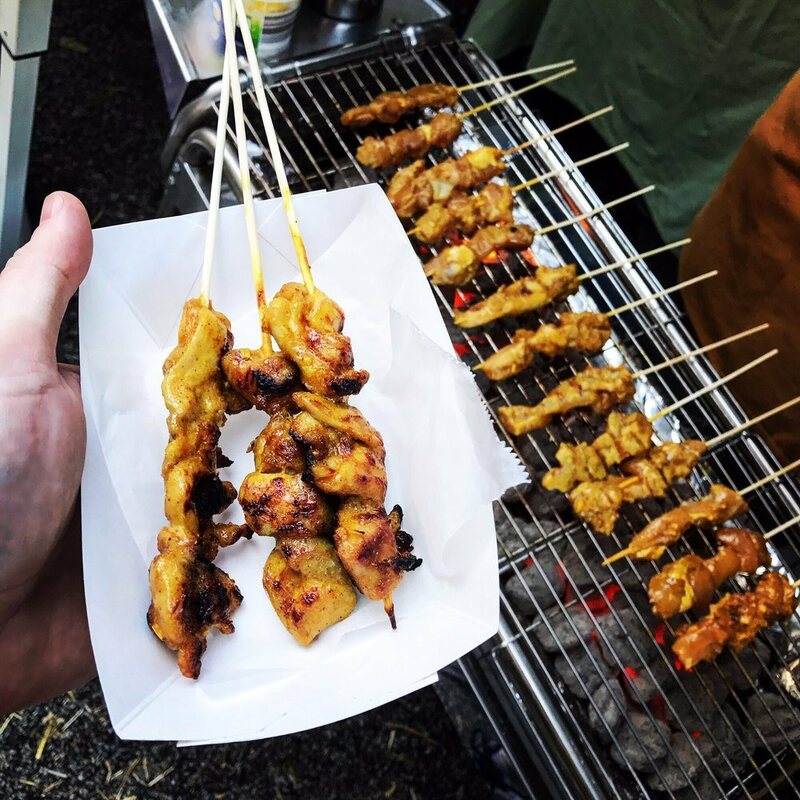 You can easily spend an afternoon searching for rodents, browsing shops, and dining at one of 120 restaurants within 10 blocks. 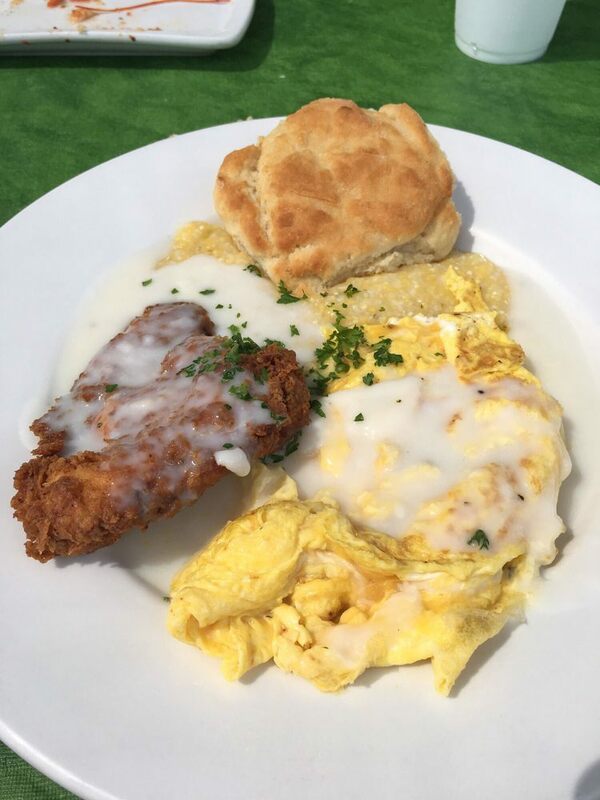 (Hint: try the melt-in-your-mouth biscuits at Tupelo Honey.) 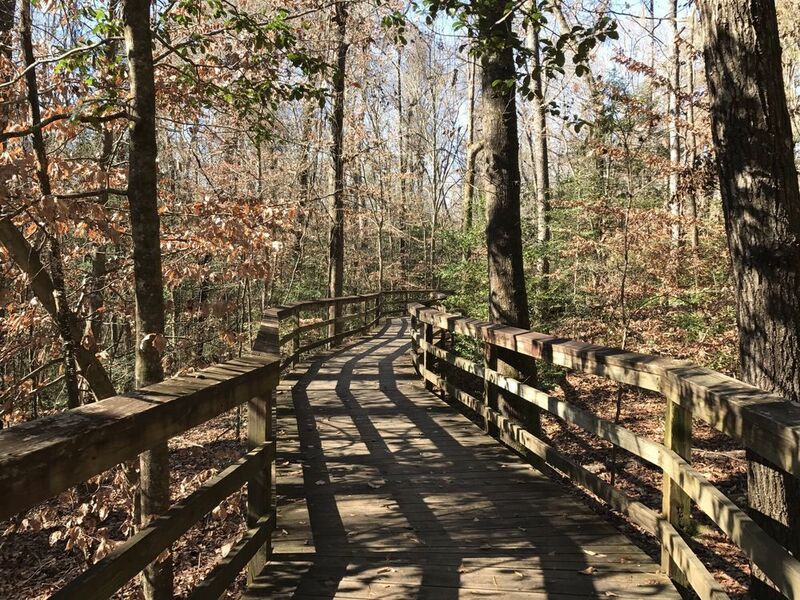 End by visiting Falls Park, a waterfall-filled public space, or hop on your bike and start the 22-mile Swamp Rabbit Trail. What is it? 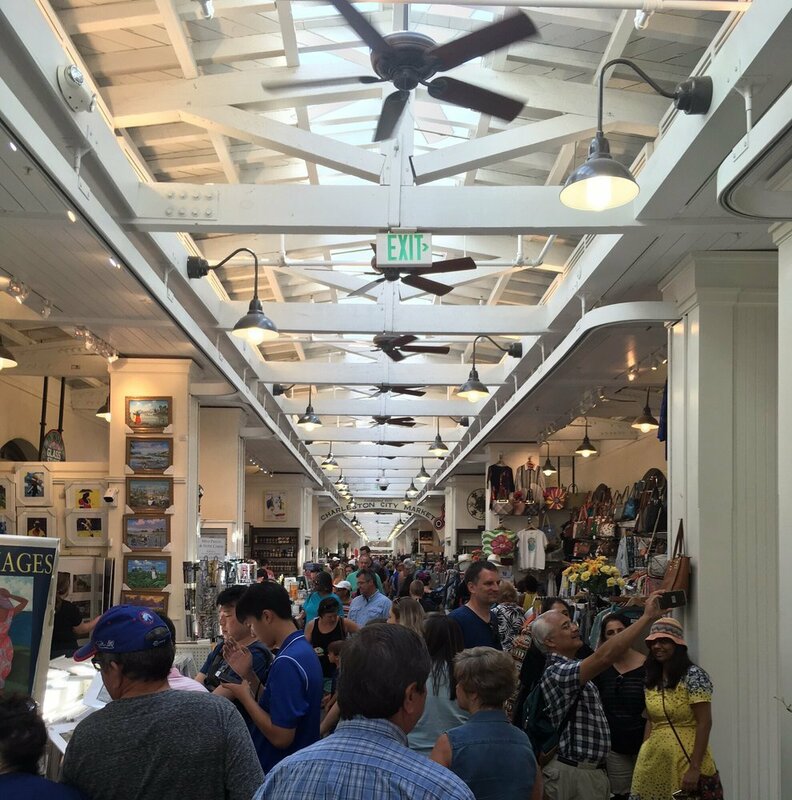 A busy, historic, open-air market in the heart of downtown Charleston. What is it? A lush island with white sand beaches, fancy houses and world-famous golf courses. Why go? 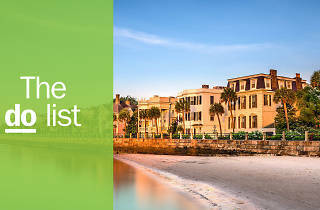 If you want a peek at how the other half live, visit the exclusive island of Kiawah. There aren’t any Motel 6s here; if you want to spend the night, you’ll need to rent a vacation home or stay at one of two luxury resorts. Mere mortals can enjoy the serene public beach at Beachwalker Park. Get there early, because the parking lots fill up fast. What is it? A swampy national park, 30 minutes outside Columbia. Why go? Though Congaree has only been a national park since 2003, it’s quickly become a point of pride for South Carolinians. Explore via boardwalk, kayak, or canoe, while keeping an eye out for snakes and birds. Visit in late May or early June, and you may be treated to one of the country’s only displays of synchronous fireflies; they start their magical, harmonious blinking when the sun goes down. What is it? 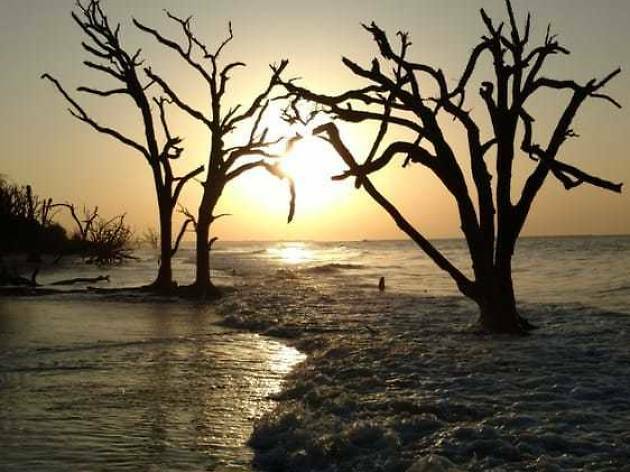 An untouched nature reserve – and photographer’s dream – that spans 3,363 acres on South Carolina’s coast. Why go? Gain access to the raw Atlantic coast by walking, biking, or driving around this free plantation-turned-nature-preserve. 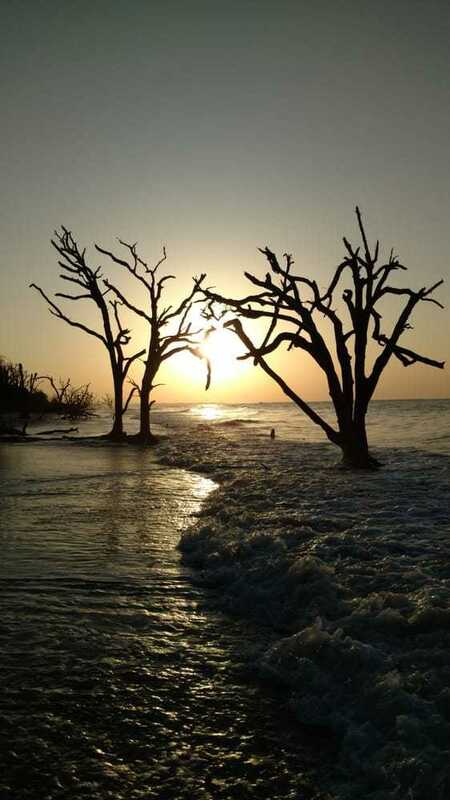 Photographers come to take otherworldly sunrise and sunset photos at Boneyard Beach, which features a graveyard of dead trees along the sand. To avoid disappointment, call before visiting: you can only access the beach around low tide, and sometimes the whole preserve closes for events. What is it? With weekly matches in the spring and fall, this is the oldest continuously operating polo field in the US. Why go? 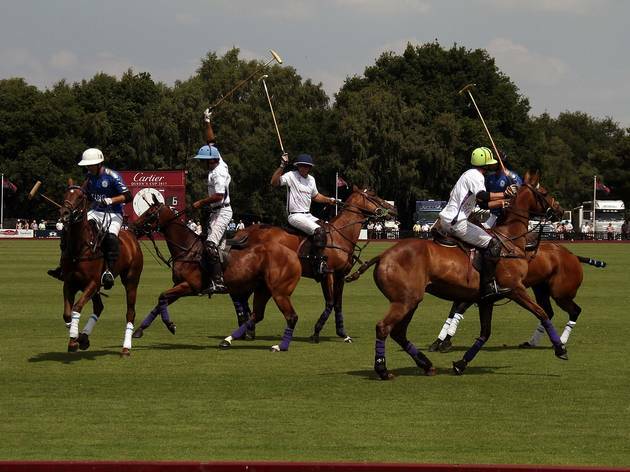 Polo players have been gathering in the horse-crazy city of Aiken since 1882. 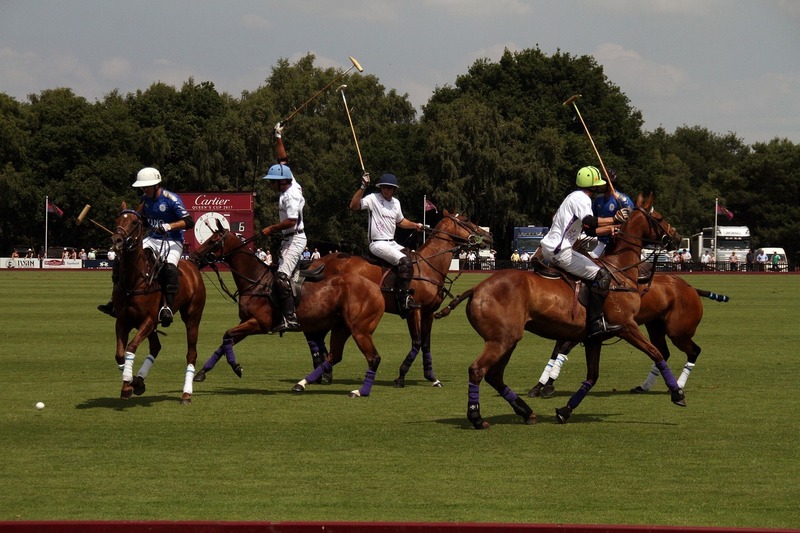 Every Sunday in the spring and fall, chiseled players astride equally chiseled horses thunder past spectators. 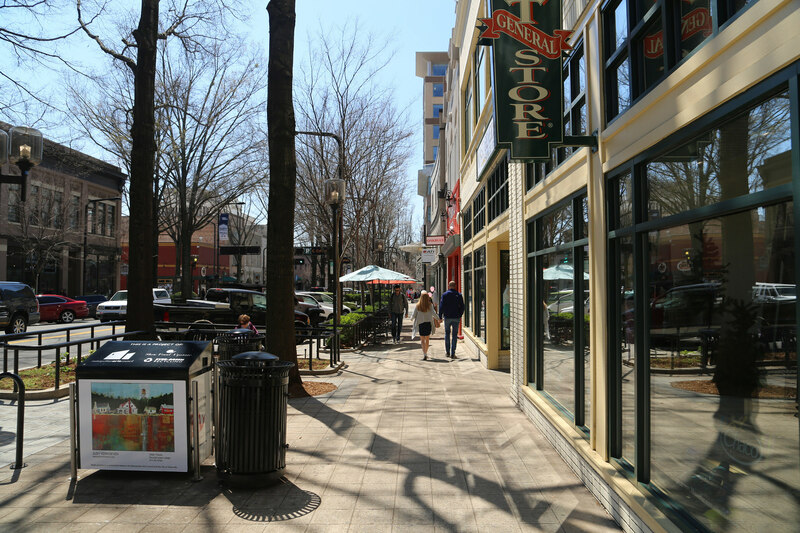 After enjoying the game (and stomping the divots), be sure to explore Aiken’s quaint, tree-lined downtown. What is it? A 66-foot behemoth of an oak tree outside Charleston, and supposedly one of the oldest living organisms east of the Mississippi. Why go? 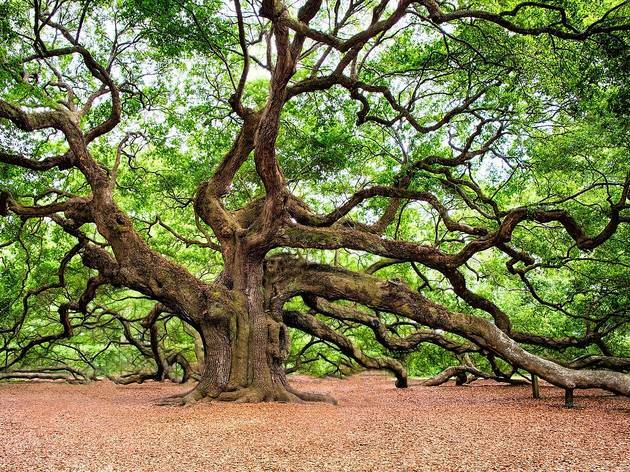 Words and pictures don’t do this tree justice – you just need to see it. 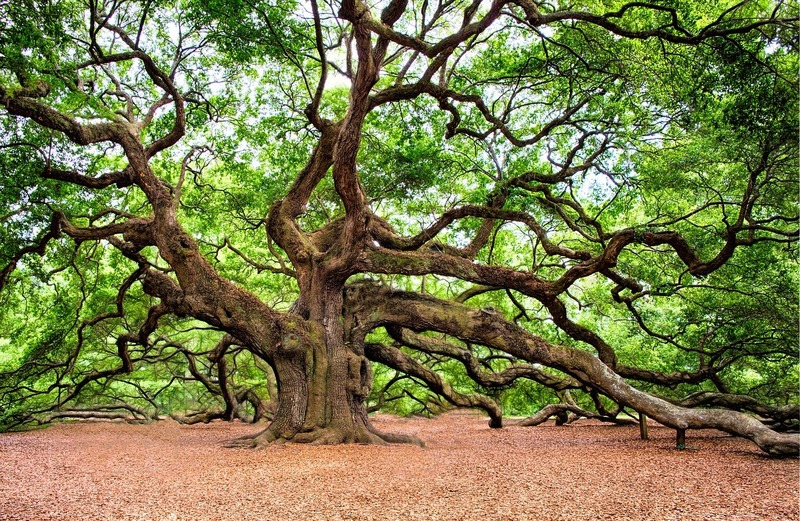 This Southern live oak has been holding court for more than 500 years, with its longest branches measuring nearly 200 feet. Bring a picnic and sit in the shade of its massive foliage. What is it? 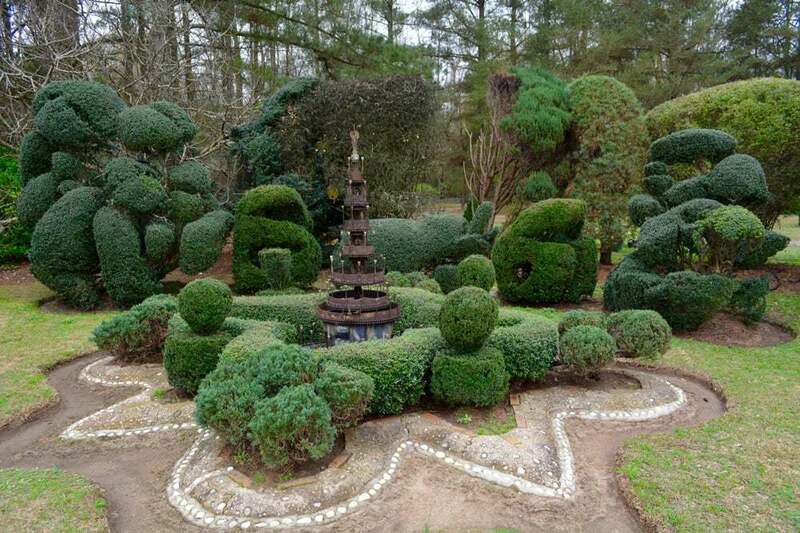 A whimsical collection of topiaries that spread ‘peace, love and goodwill’ in the tiny town of Bishopville. Why go? Since the 1980s, Pearl Fryer has been collecting plants from the compost pile at local nurseries – and then cutting them into sculptures that look like they’re straight out of a Dr Seuss book (or an acid trip). Though donations are encouraged, there’s no entrance fee and no tours. 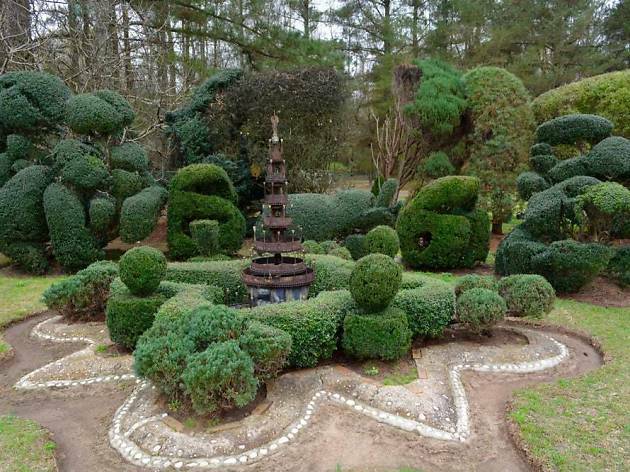 Just come and wander the grounds, enjoying the work of a man who has inspired many South Carolinians with his compassion and creativity. What is it? 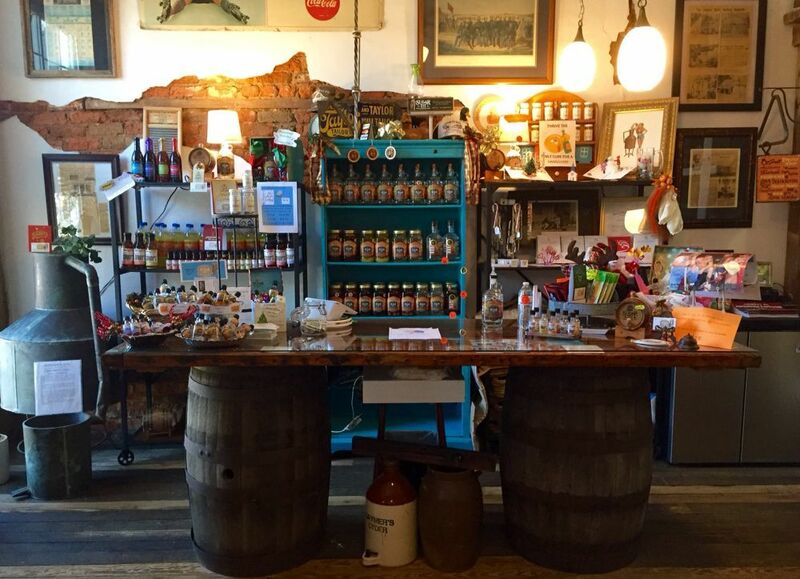 A family-owned moonshine distillery housed in an 1800s apothecary. Why go? Moonshine is about as South Carolina as it gets, and at this Reidville distillery, you’ll find tastings, a tour, and a goldendoodle named Whiskey. The owners use an old family recipe and distill their shine six times – all on-site. In addition to their smooth, award-winning 120-proof, you can try flavors like butterscotch, apple pie, peach, and blueberry. 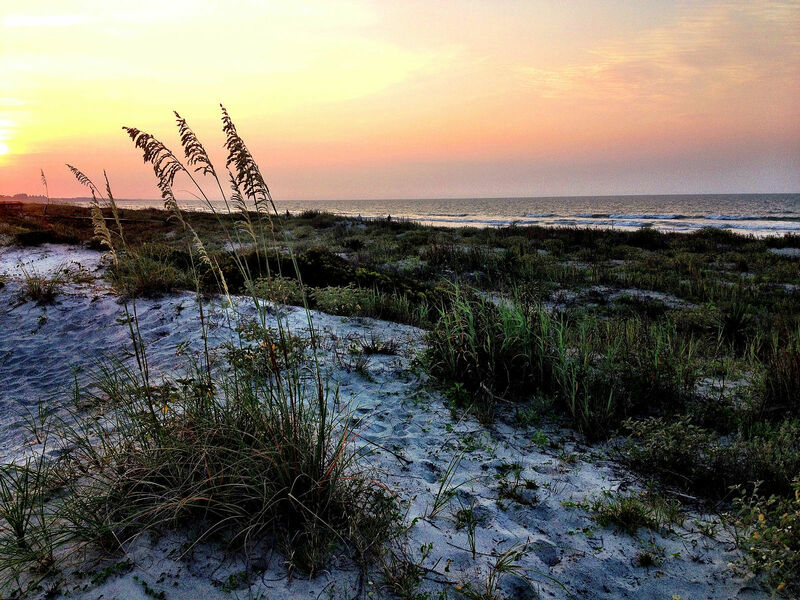 Planning a trip to the beaches of South Carolina? 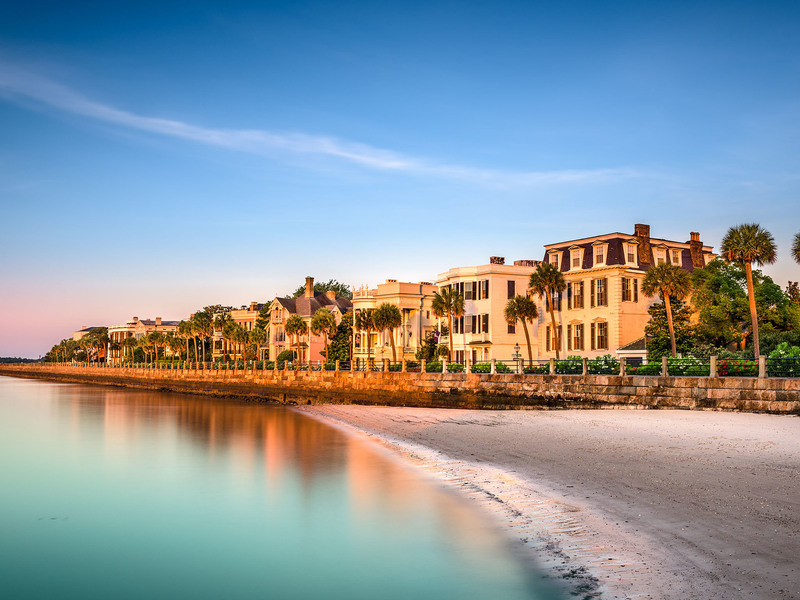 Nestled along the southeastern Atlantic coast, the beaches of South Carolina are comprised of almost 200 miles of beautiful seashore.